Just like I believe Memorial Day weekend is the unofficial start of summer, Labor Day weekend is the unofficial end of it. I can’t believe summer has come and gone. 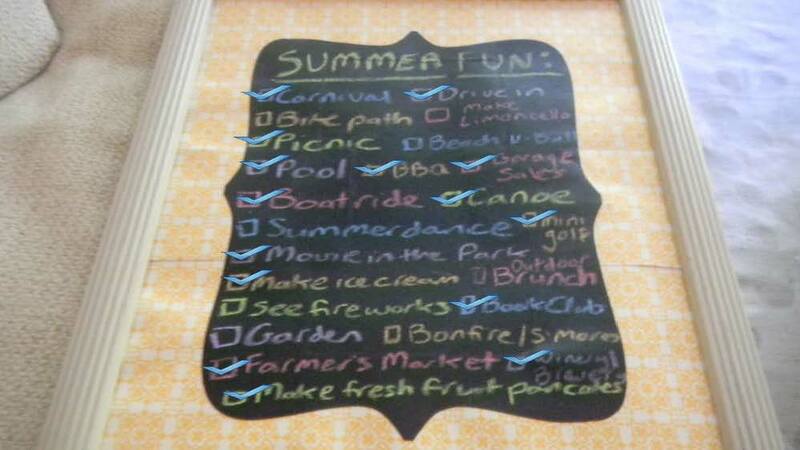 I thought I’d do a final review of my summer checklist and see how I fared in getting through my to do list. 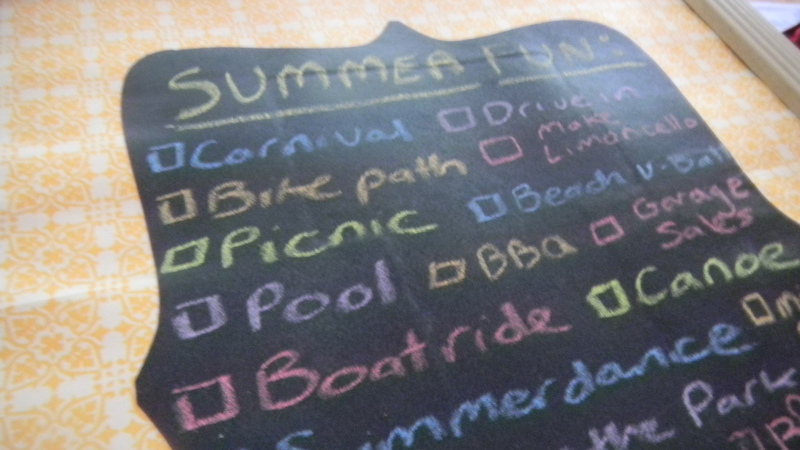 In my original to do list, I thought of 23 summer activities that I hoped to do before fall rolled around. In three updates (here, here, and here), I tracked my progress. All in all, I accomplished most of the activities. I did do a bunch of additional warm weather activities that I never thought of while making the list. 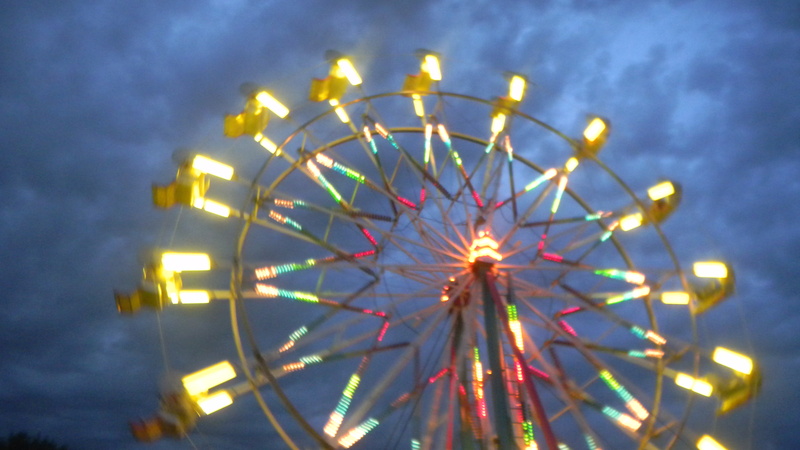 Over the Labor Day weekend, I headed to the Walworth County Fair. 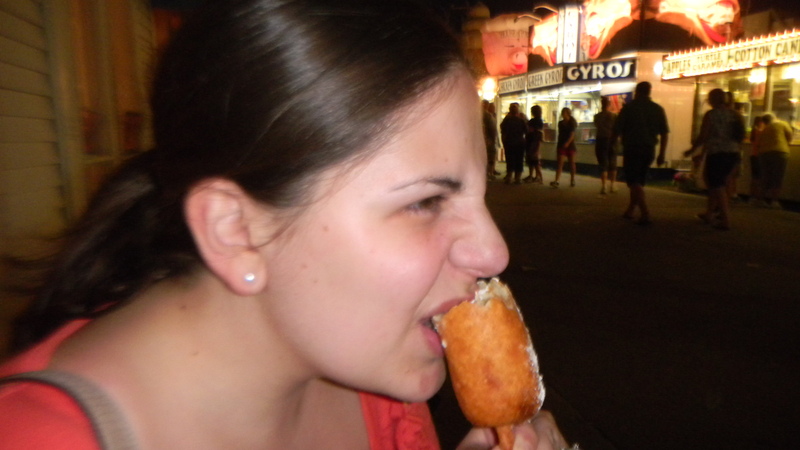 Goats, cows, emus, fried food and all. 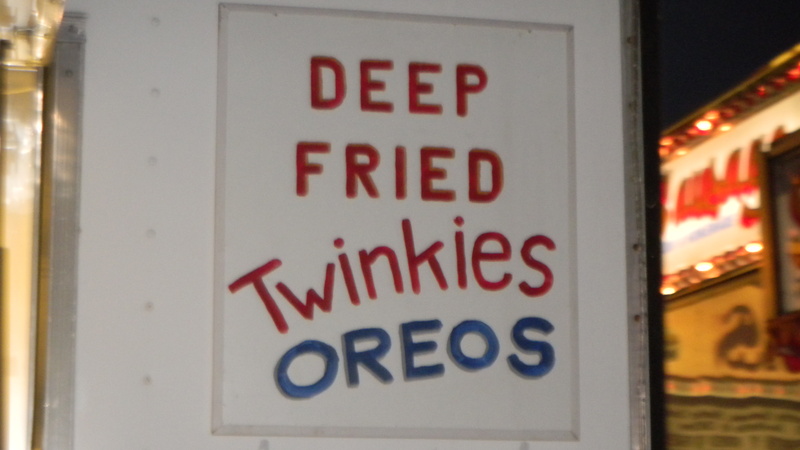 I even tried a fair staple – deep fried Twinkies. 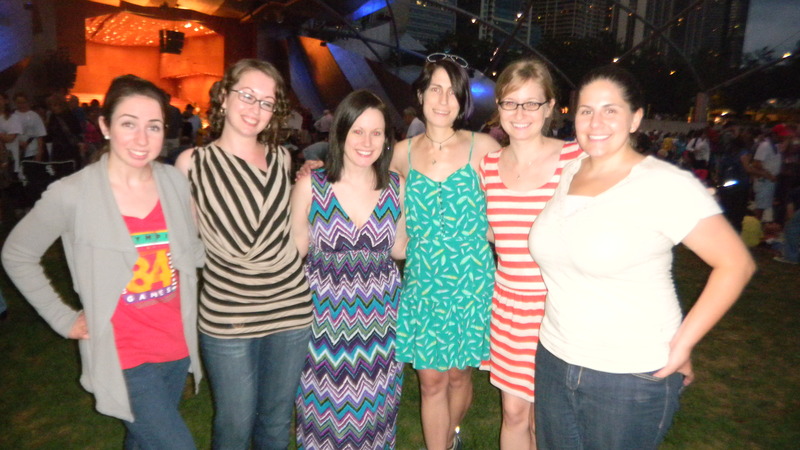 For my friend Lauren’s birthday, we attended a classical concert in the park at Millennium Park. 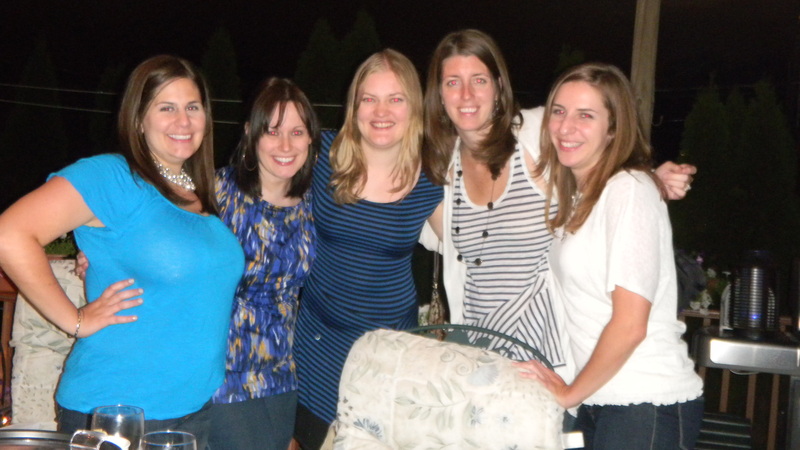 I had a wonderful birthday party on our back patio. 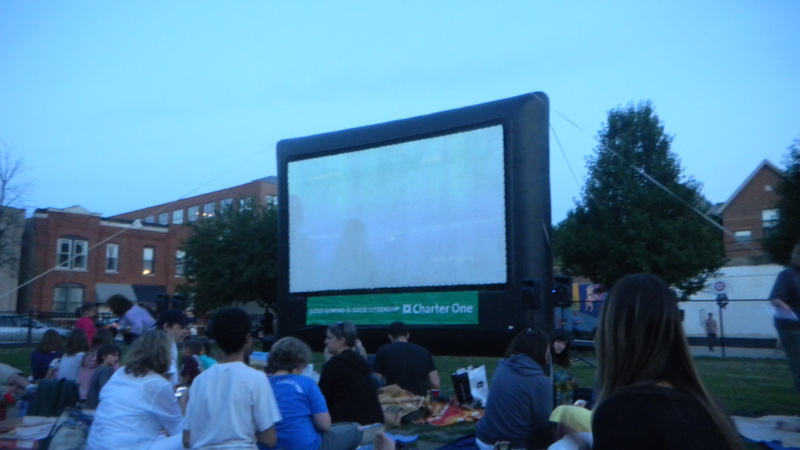 I went to more Movies in the Park than I expected. Final count: 4 (Wizard of Oz, The Lorax, Ferris Bueller’s Day Off, North by Northwest). 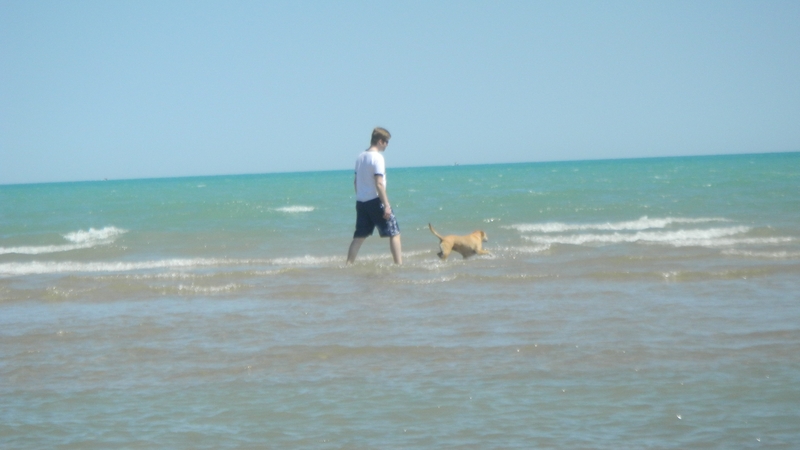 And we spent at least one morning each weekend at the dog beach. I’d say I made the most of my summer. Did you? As my final nail in the summertime coffin, check back next week for a new to do list this fall! Wow. More than half of summer just snuck by me. It’s late July now, which means there’s only about 6 weeks left until the unofficial close of summer: Labor Day. And here’s a closer look at some of my latest summer shenanigans. I decided that while beach volleyball was a lofty goal, it wasn’t one I was likely to reach. A group we know that plays beach volleyball on Sunday mornings at North Ave beach meets much too early for me to get out of bed. Plus, why exploit the fact that I couldn’t set someone up for a spike if my life depended on it? No, the intent was more for me to enjoy the opportunity to lay on a beach while my can’t-sit-still husband had an activity to do. 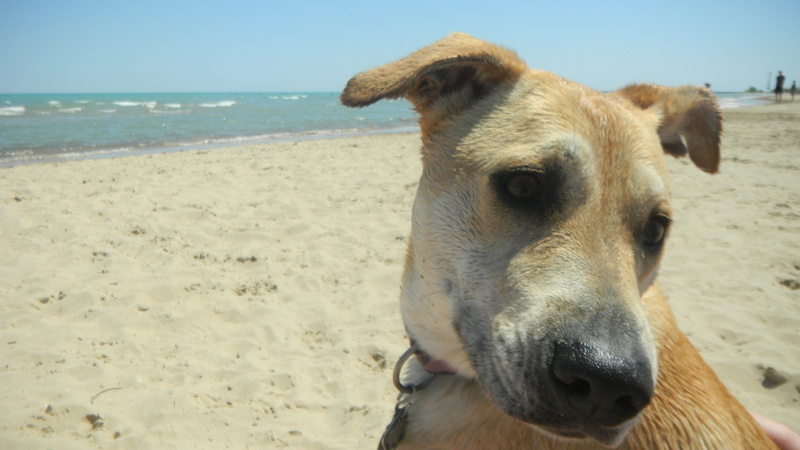 Well, we discovered an alternative: the dog beach. I sit away from all the action and read a book while Dan plays with Phoebe and watches her run around with the other dogs. 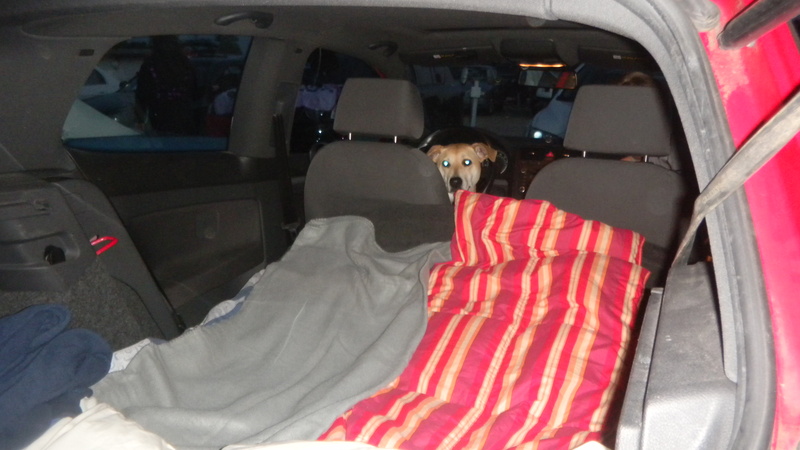 We’ve been to the beach a few times already, and plan to head there more before summer’s end. We can check this one off our list. This one was completed several times over. 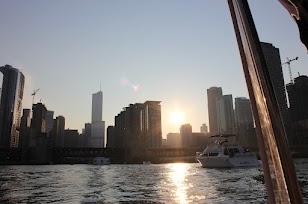 A couple weeks back, we enjoyed a booze cruise in the river with some of our closest friends. Here I am, chatting away. The view wasn’t too bad at all. Additionally, Dan and I went on a mini vacation last week to Lake Geneva. There, we passed our time lounging on my dad’s pontoon boat in the middle of the lake. I’m so glad we went. Dan and I both have had crazy schedules lately and it was so nice to just relax, unwind, have nowhere to be, and, believe it or not, unplug from the world. 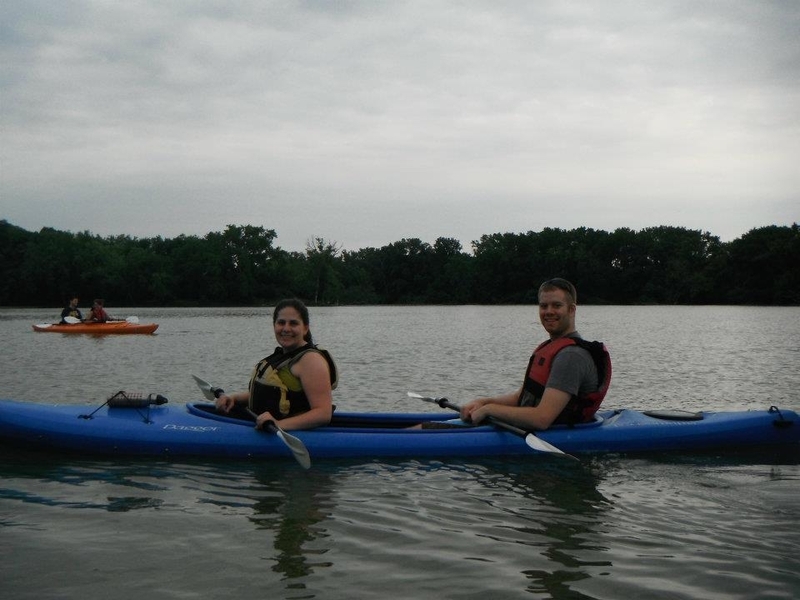 Substitute “kayak” and we can check this activity off of our list. As part of our anniversary celebration last month, Dan and I set up a 2 hour kayak tour with Northwest Passage. We were supposed to go on Lake Michigan, but a riptide warning got in our way, so we found ourselves setting adrift in the Skokie Lagoons. I really enjoyed it, and could easily see myself spending more time on the lagoons. We mini golfed on our little getaway at Paradise Golf Park in Lake Geneva. 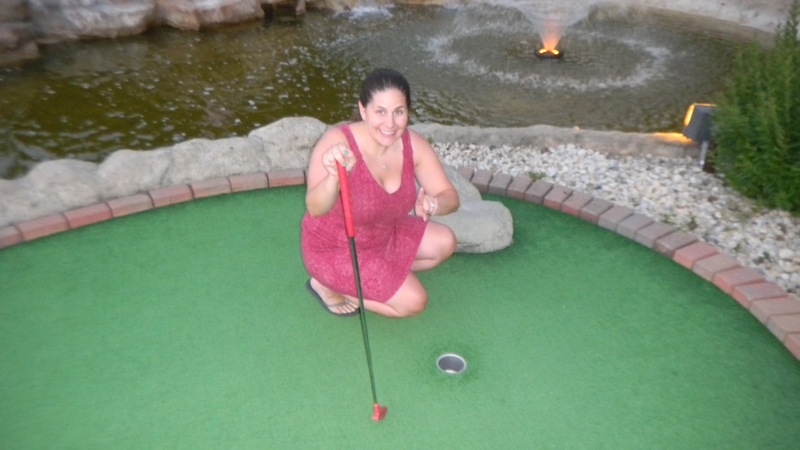 I got a hole in one, baby! 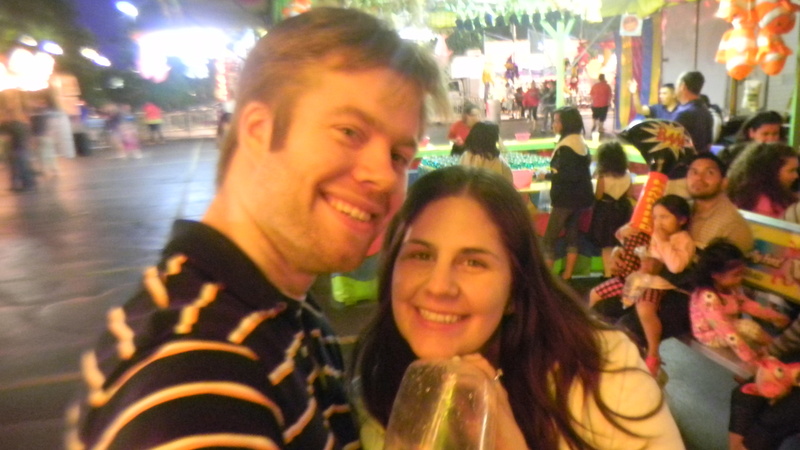 We went to the Farmers Market near our place the first day it opened up for the season. We got some yummy homemade hot habenero jelly and some of my favorite cheese – apricot brie. I’d say I’m most of the way to completing my list. Hope you’re having fun with all of your summer to-dos. I needed a quick side to go with grilled steaks and corn over the weekend. We had a whole ripe watermelon just sitting on our counter, but I wanted something a little more than sliced fruit. 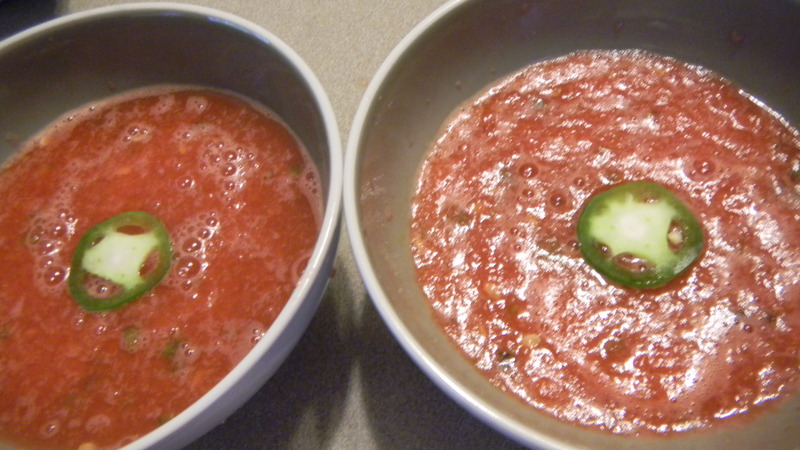 I ended up making jalapeno watermelon gazpacho. Calling this dish “quick” still gives me too much credit. The part that took the longest was the cutting of the watermelon. 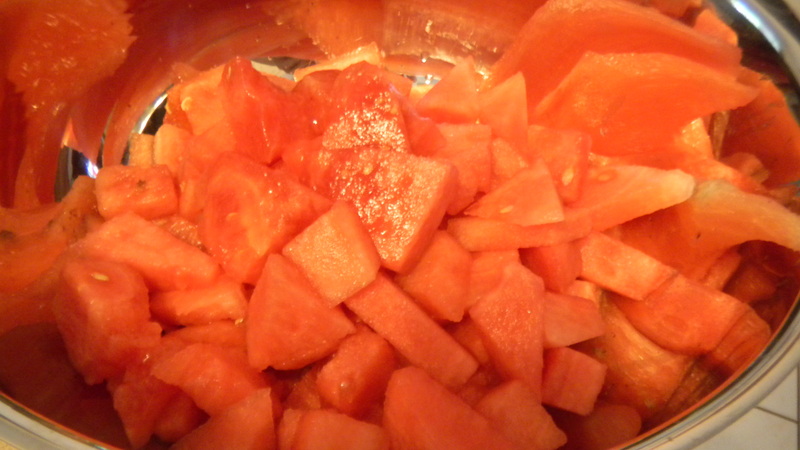 Start by cutting the watermelon, and put it to the side. 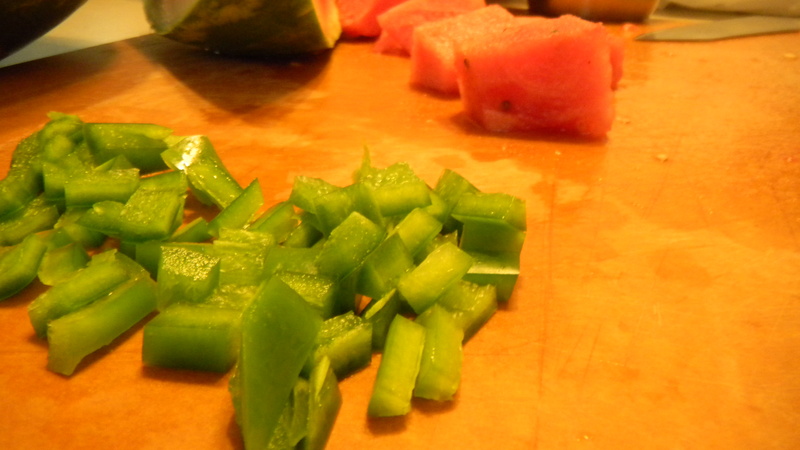 Next, slice the jalapeno. I took all the seeds out, and cut the pepper into pretty small pieces. 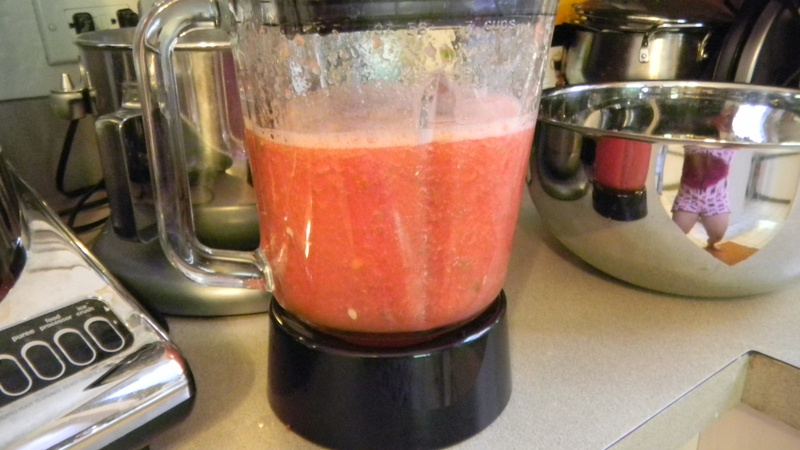 Get your blender out and puree about half of the watermelon. 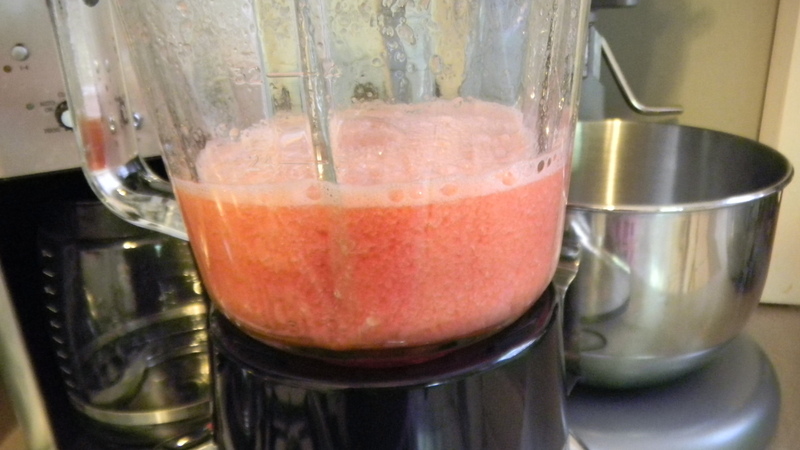 Add a few shakes of salt, the juice from 1/2 a lemon, and the rest of the watermelon. Puree the mixture again, but be sure to leave some chunks (so it’s not a perfectly smooth consistency). Take the pitcher off the blender, put it in the fridge for an hour or more, and enjoy. 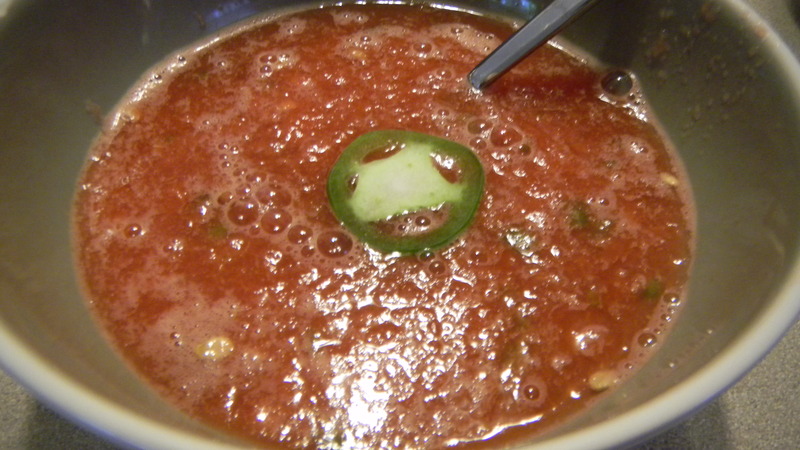 The key is getting the gazpacho really cold. This totally hit the spot on a super hot day. I was inspired by this lovely print on etsy. 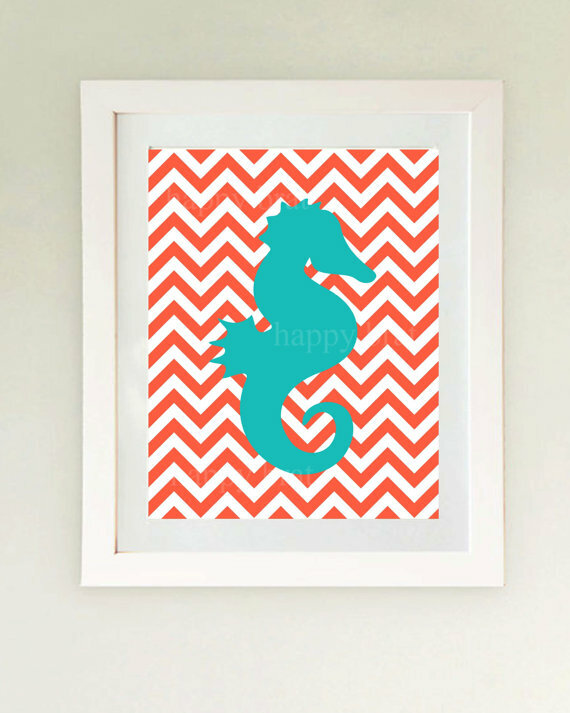 It just screamed summer to me with those bold colors and playful beachy print. I wanted to put it on the shelf above the couch, but I thought it would look too small on the shelf. It did. Dan and I got to thinking and we decided a set of 3 matching prints would look great together. 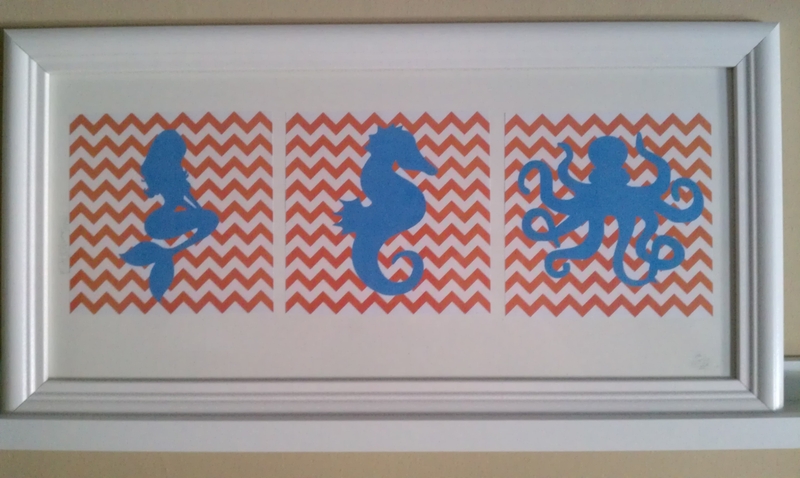 We brainstormed and thought an octopus and a mermaid would round out the beach/sea theme we had going. I wish I could tell you how Dan did it. I know he googled to find the images we ended up using, then created a silhouette of them. 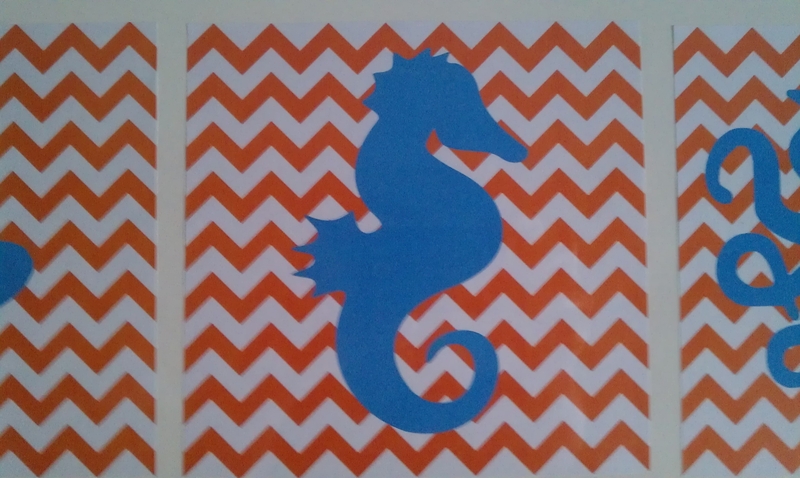 He said the chevron wasn’t too difficult to make either. You know, because he spends a lot of time in Photoshop. 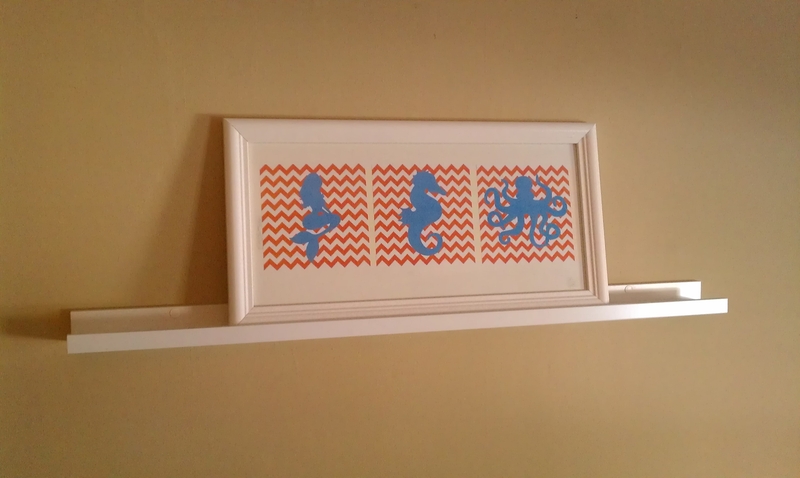 As for the frame, we’ve long had it in our hall closet. We got it as a wedding gift with a cut out mat that spelled “Wedding Day,” but didn’t have anywhere to put it. Until now. Is it perfect? No. Does it add color to the room? Definitely. Is it fun for a quick summer living room update? Absolutely. 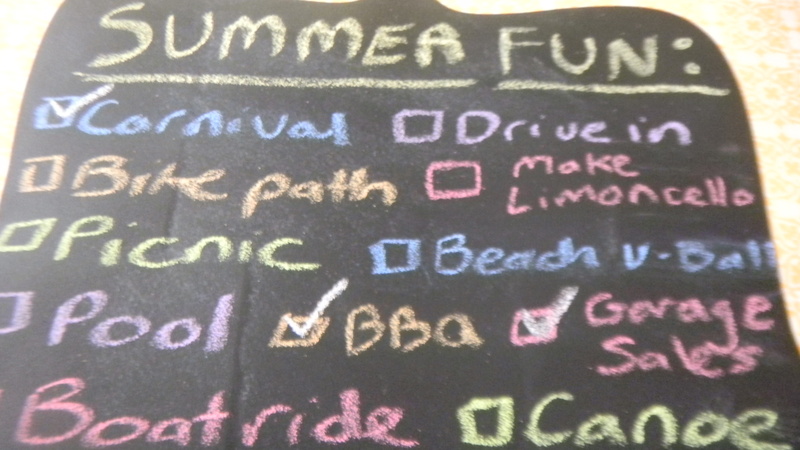 Here’s another sort of Summer Fun checklist update. Lots more has been crossed off the list, which means I’ve been busy making the most of the short summer months. popcorn, and a Mountain Dew. As part of our anniversary celebration, we packed up a cooler, put a leash on Phoebe, and headed to a nearby park for a small picnic. No photos from the day, but we feasted on tuna fish sandwiches, sesame sticks (from Trader Joe’s), and strawberries for dessert. 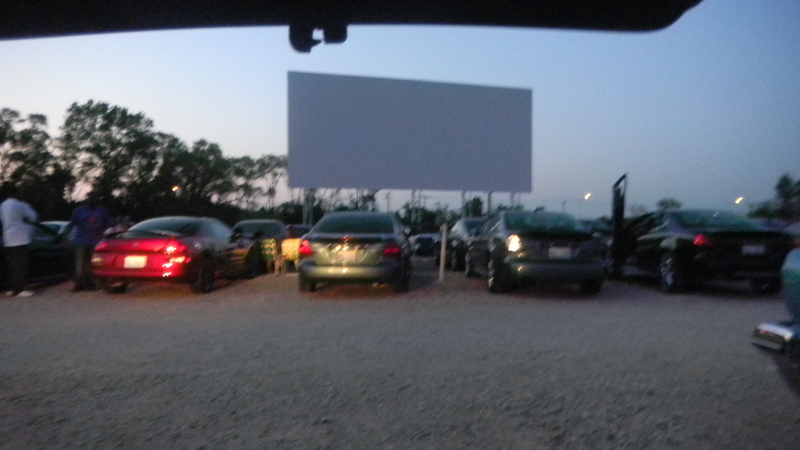 Last night, a group of us headed to see Ferris Bueller’s Day off at a local park. I made some classic chocolate chip cookies (using Dan’s mom’s recipe) to munch on during the movie. 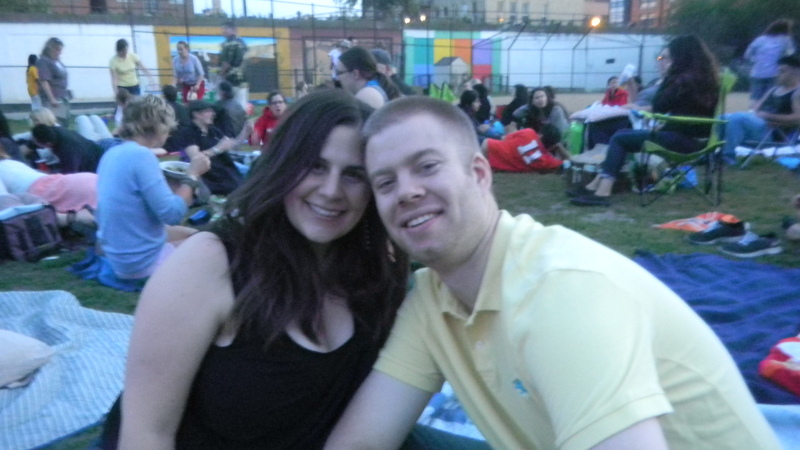 Here’s Dan and I before it got dark enough for the movie to start. From Monday’s post, you saw we read Hunger Games and enjoyed an apple and goat cheese tart. It only half counts, because the blueberries were from Jewel and not a Farmer’s Market, but last weekend, we indulged in some whole wheat blueberry pancakes. Yum. I really feel like we’re making the most of this summer, and we have lots of fun summer plans to come! 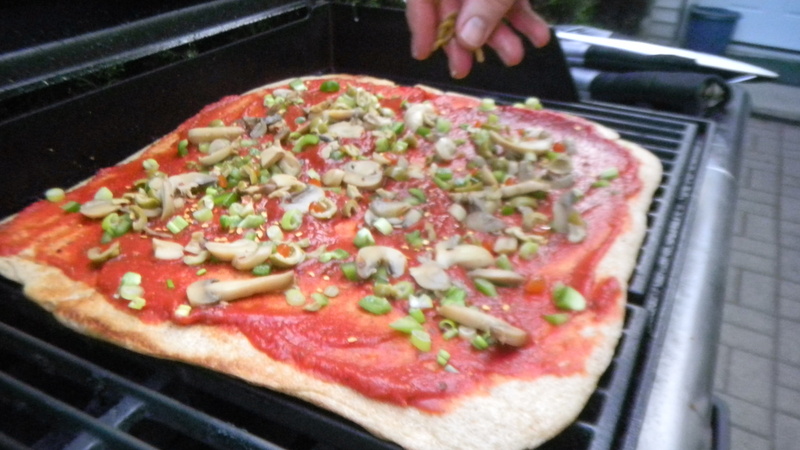 Yep, as one of our BBQs from this past weekend, we made pizza on the grill. It was a little tricky, and I’m not sure we did it the best way possible, but the pizza was crispy and tasty, so we must have done something right. We started with basic pizza dough. Nothing special. We made ours from scratch, but storebought (I like the kind from Trader Joe’s) works just as well. 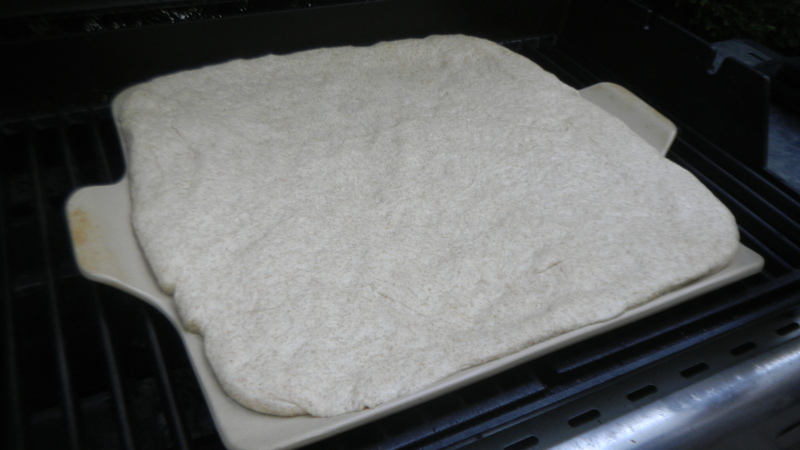 We took our dough and spread it out onto a lightly olive oil drizzled baking stone. We put the stone directly onto the grill. Once the pizza looked done on the bottom, Dan drizzled the top with more olive oil and then flipped the pizza dough onto the grill. Then, we quickly made the pizza while it cooked. We spread the sauce, added spices, put on the toppings, and sprinkled cheese all over it. Go as quickly as possible so you leave enough time for everything to cook before the bottom gets overdone. 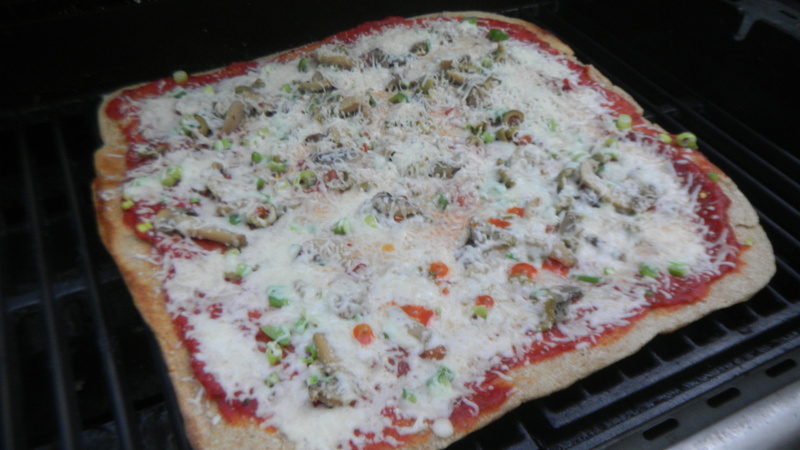 If you’re planning to put veggies on that take a while to cook, I would suggest grilling those separately, as you won’t have enough time to cook them on the pizza itself. Once the cheese was fully melted, we took the pizza off the grill and ate it immediately. 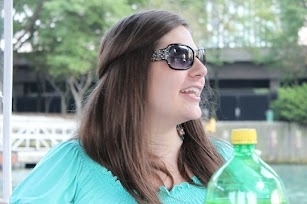 I would definitely do this again, especially when I’m craving homemade pizza in the summer. 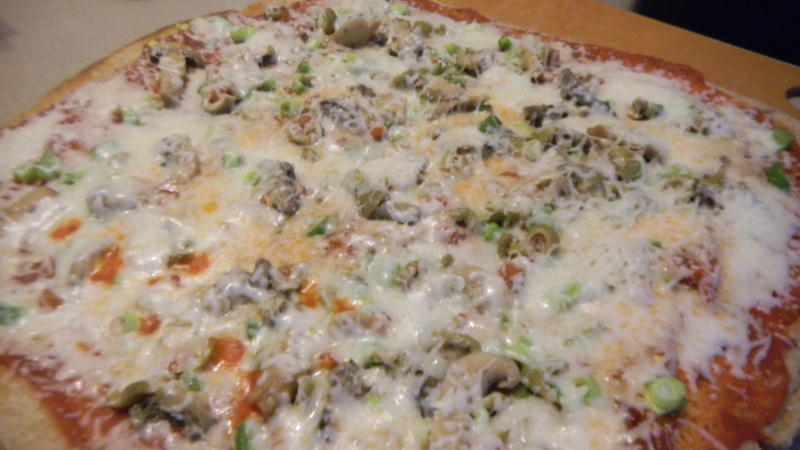 Although today, with the cold and drizzle, I’d be much more apt to make pizza in the oven just to warm up! I crossed three things off of my Summer Fun list over Memorial Day weekend. 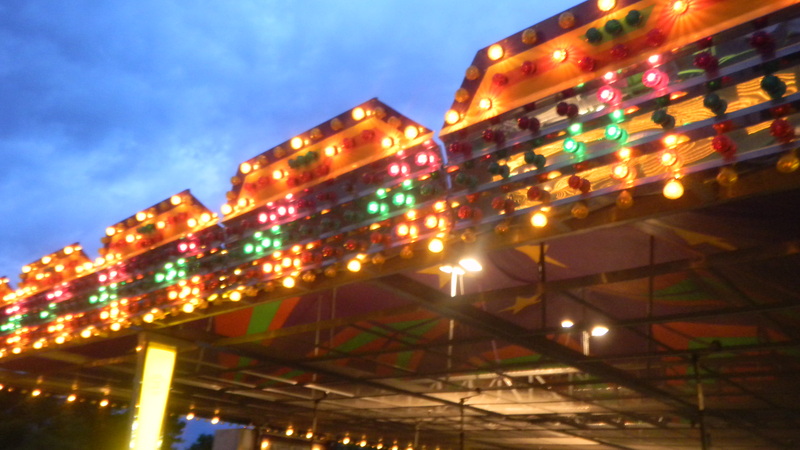 Friday night, Dan and I walked over to a nearby carnival. We had fun walking around, and I got a couple photos that I think I’ll be framing soon. Don’t they just scream summer to you? We also won a goldfish. I sunk that ping pong ball in the tiny fish bowl on my first try. Unfortunately, Mayor Goldie Wilson didn’t survive the weekend. RIP. We also hit up two garage sales. I saw a few cute items, like glass decanters marked at $3 and a C&B vase for $2, but I passed. Maybe I’ll find something good next time. As for the BBQ, we used our grill 3 times over the weekend. 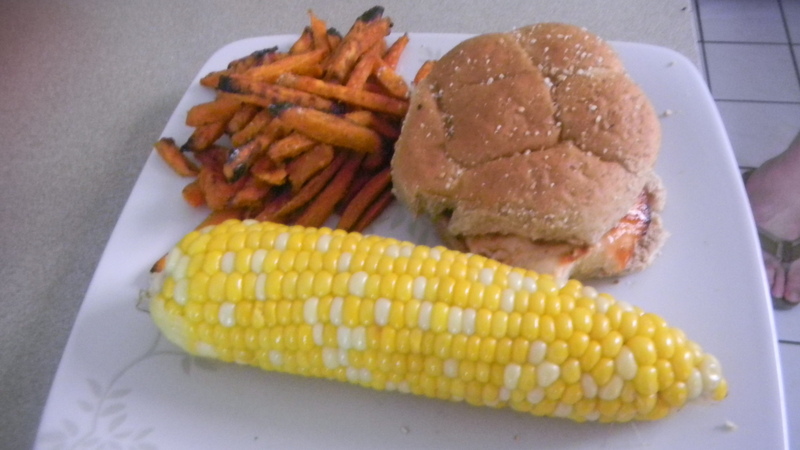 Here’s the corn, sweet potatoes, and BBQ chicken meal. All items were cooked directly on the grill. 3 summer activities down, many more fun activities to go!